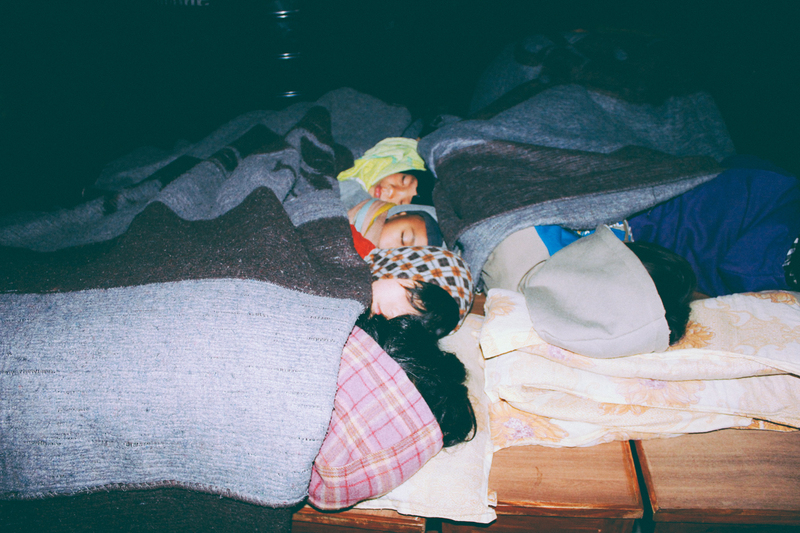 Photo: Children from our Nepal orphan homes can be seen sleeping outdoors to avoid the dangers of the dozens of aftershocks that followed Saturday’s 7.8 magnitude earthquake. We are very happy to report that all of the children, our staff, and the girls of the She Has Hope rehabilitation home are safe after the devastating 7.8 magnitude earthquake that hit Nepal over the weekend. However, critically scarce supplies are needed for our team, the children, and also for relief outreach to neighbors who were not so fortunate. Tomorrow our Executive Director, Kirby Trapolino, is scheduled to board a plane to Kathmandu with a friend who will help carry desperately needed supplies to our team there. Infrastructure in the city has come to a halt, and the crisis worsens as normal food supplies dwindle — all roads into the capital, already notoriously treacherous, have been cut off for the most part. Vegetable markets are totally empty. Drinking water continues to be scarce. Hospitals are overwhelmed, as Nepal has only 2.1 physicians and 50 hospital beds for every 10,000 people. Aftershocks continue to happen even today, some registering over 6 on the Richter scale, sending people fleeing the city into the plains. Our children, girls, Nepal team and their neighbors are in desperate need of water purification tablets, portable solar power, and high protein food, and with the situation deteriorating it seems as though the suitcases full of food and supplies our director is bringing may indeed be a lifeline for our children and the girls at She Has Hope. Donate to our Nepal Earthquake Relief Fund today to help sustain critical relief operations in the city of Kathmandu. Your gift will go directly to those most in need, and your donations will be put to strategic use by our native team who will be around for follow up long after international aid groups are gone. Food and water purification for our children and our girls in trafficking recovery. Lanterns and solar chargers for cell phones to maintain critical operations. School supplies for upcoming school year which is scheduled to begin next week. Repairs to our damaged farmland staff house and goat house. Please rest assured that your donations toward this fund will be directed toward the most pressing needs in Nepal. If you would like to donate toward our Nepal Earthquake Relief efforts, please use the “take action” link below. We are grateful for your support, and for our generous donors that can help us bring hope to those in Nepal experiencing such heartbreaking loss.